The 2017 Premier’s Awards for Indigenous Youth Excellence in Sport Recipients were honoured during the Opening Ceremonies at the Gathering Our Voices Youth Conference on March 20, 2017 in Richmond, BC. 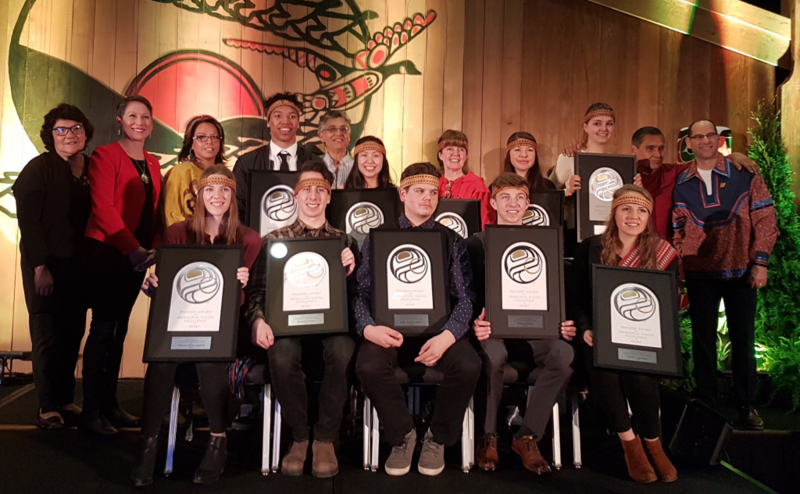 The 2016 Premier’s Awards for Indigenous Youth Excellence in Sport Recipients were honoured during the Opening Ceremonies at the Gathering Our Voices Youth Conference on March 21, 2017 in Kelowna, BC. The 2015 Premier’s Awards for Indigenous Youth Excellence in Sport Recipients were honoured during the Opening Ceremonies at the Gathering Our Voices Youth Conference on March 21, 2016.